We’re always on the lookout for volunteers to help us in various ways. Our volunteers run our adoption camps, collect newspapers, secure suppliers, provide information about our work, and perform many other duties. Contact us today to discover more about the many ways you can help GoaGPRS. We are a small Animal Shelter with a limited amount of space in which to house our rescued animals. We are able to rescue more animals thanks to wonderful volunteers who foster puppies and kittens which will eventually go for adoption. These little ones learn how to settle into a home while being fostered by our volunteers. This training ensures successful adoptions. These special people open their hearts and homes time and time again helping us to save even more of South Goa’s strays. If you would like to be a GoaGPRS foster family, please contact us. 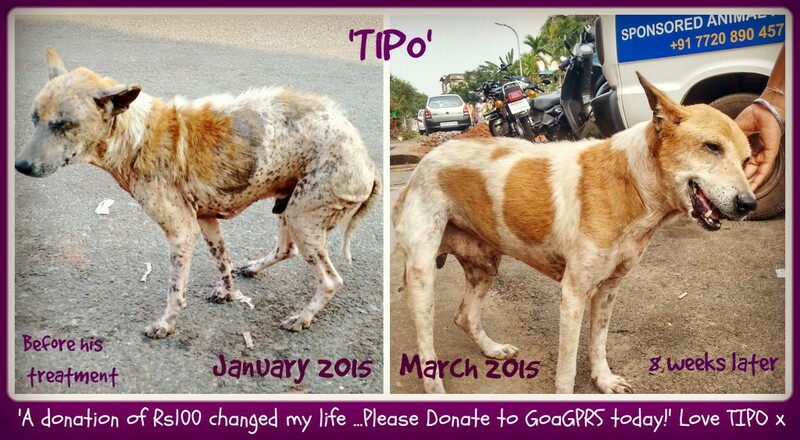 Please click here to donate to GoaGPRS via PayPal. At GoaGPRS , your donations go towards helping to fund the rescue, treatment and rehabilitation of animals needing help in South Goa. We ensure that the money you donate goes a long way, paying for things such as surgical treatments, food, medicines, and many other things necessary for the every day care of our animals, not only at the GoaGPRS shelter but also those animals we care for in our Outreach Programmes. When you make a donation, the size of the donation doesn’t matter, any amount can literally be the difference between life and death. Absolutely no donation is too small. Check out and LIKE our Facebook page and see many more examples of how your donations save the lives of dogs like ‘TIPO’.